"Are you ready for the event of the year? Because it’s time to pick up those needles and get the yarn ball (un)rolling! For an unforgettable afternoon or evening, you are cordially invited to join us at the upcoming WE ARE KNITTERS knitting party. What does a WAK knitting party entail? Everything you need to have a great time! Knitting parties are a fantastic opportunity to socialize with other like-minded people, plus drinks, snacks, and of course, knitting! 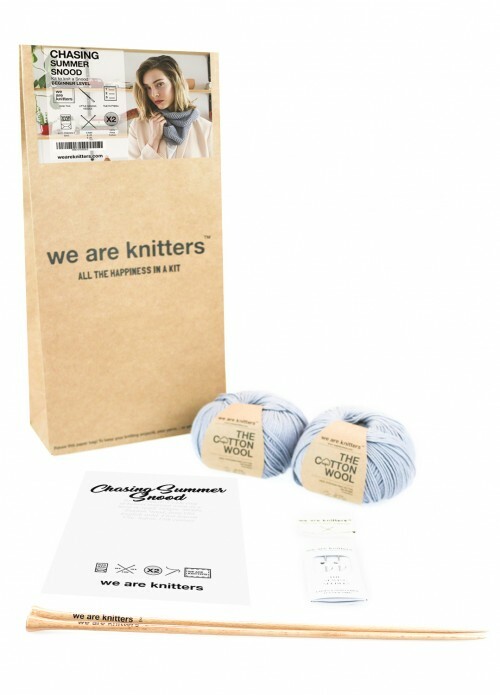 Attendees will receive their own exclusive Knitting Kit, that includes everything you need to create your own knitted item; needle, wool, and the easy-to-follow pattern. And of course, what party would be complete without party favors? All participants will go home with a sweet 25% off coupon to spend on anything from www.weareknitters.com to help keep those new knitting skills sharp! So, what are you waiting for? Reserve your place and join the ‘Knitting Revolution’ now!" - We Are Knitters.